Time was, the arrival of a new year meant the opening of the floodgates for new car shoppers eager to see what new makes and models promised by way of speed, comfort, economy and just pure fun. While new car arrivals and announcements can now happen throughout the year, January is still a big month for new car sales. 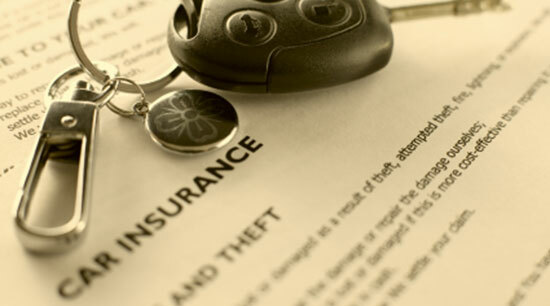 As a result, lots of drivers may be looking to add a new car insurance policy to a list of start-of-the-year to do’s. Many popular insurance providers are now offering a number of ways to make the transition easier. Are you adding or expanding… or just transferring? Unless the new car you recently came into is also your very first car, getting car insurance shouldn’t be a new experience for you. If your new car is replacing a car you used to drive, the car insurance coverage you carried on your older car will, for a short time, automatically cover your new car. Most popular insurance providers allows you up to 30 days of coverage on a previous car’s policy before you need to get a new policy to cover your new car. If the new car you just acquired is an addition to your personal fleet (or your family grew and needed additional transportation), insurance companies will extend coverage to this new car (for up to 30 days) on whatever policy you currently have with them. 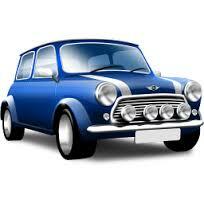 In fact, adding cars to an existing policy can get you a discount on your overall car insurance premium. Popular insurance companies offers all of the car insurance policy coverage options you will need to adequately protect your new car and to keep you in compliance with whatever your state’s requirements for car insurance are. Your first priority in putting a new car insurance coverage plan in place will be to make sure you know what the minimum required insurance coverage in your state should be. Most states require licensed drivers to carry liability insurance, which includes bodily injury coverage and property damage liability. The bodily damage liability coverage pays for the medical bills of passengers in the other vehicles if you are found to be at fault in an accident, and property damage liability coverage pays for any damage that you cause to someone else’s property or car. The levels set as a minimum standard by states are notoriously low and insurance experts will tell you to always put as much liability coverage in place as you can comfortably afford. Find a better overall rate on coverage if you put liability coverage levels in place that exceed your state’s minimum standards. In addition to liability insurance, some states will require you to carry a no fault option like medical payments or personal injury protection (PIP) coverage. There are also a handful of states that require licensed drivers to add uninsured/underinsured motorist coverage to a policy to be in full compliance. You may want to add the loan/lease payoff option if your new car is being financed (in fact, it may be required by your lender.) Custom part and accessories coverage can help if your new car comes with expensive upgrades. If the family pets routinely travel with you in the new car, the pet injury coverage is added peace of mind and unlike other insurers that treat pets as “personal property” for the purposes of covering any injuries they may sustain in a crash, best insurance companies acknowledges that your furry friends are family members deserving of proper coverage. Depending on the state where you live, you may also be eligible for discounts for good students or for taking recognized driver safety and/or defensive driving courses, progressive also touts its Snapshot discounts programs wherein you agree to have an onboard monitoring device record your driving activity for a select period of time and if you prove to be a safe and responsible driver over that recorded time, they may reduce your premium even further. A new car is always an exciting new adventure and if you are a car insurance customer, you can preserve that excitement and protect your new ride for many happy miles.